What columns can I use in my Search Results? In a previous post I described adding the FileExtension column to the XML you get back from a SharePoint search, so that you can use it in your results page. This raises the question – what columns are available for use in the Selected Columns setting on the Core Search Web Part? So, what is a managed property? Well, the page describes it pretty well. The search crawler gathers a bunch of crawled properties. 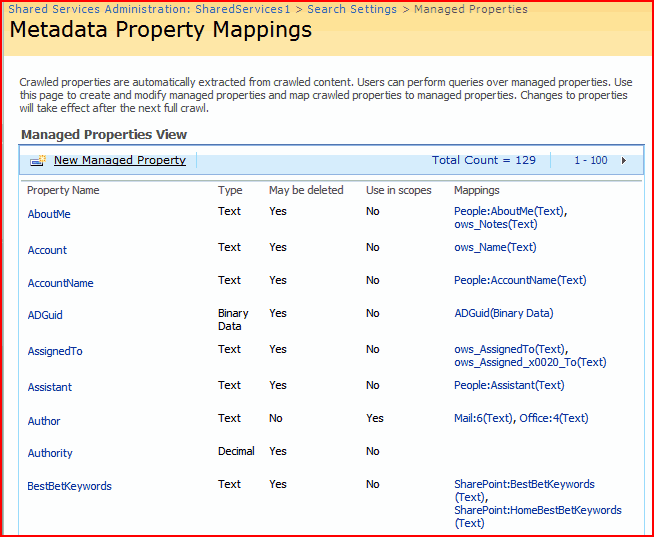 Users search against the managed properties, and these are a way of mapping the crawled properties to the properties that people can search on. That’s what that page above is for; defining the mapping. 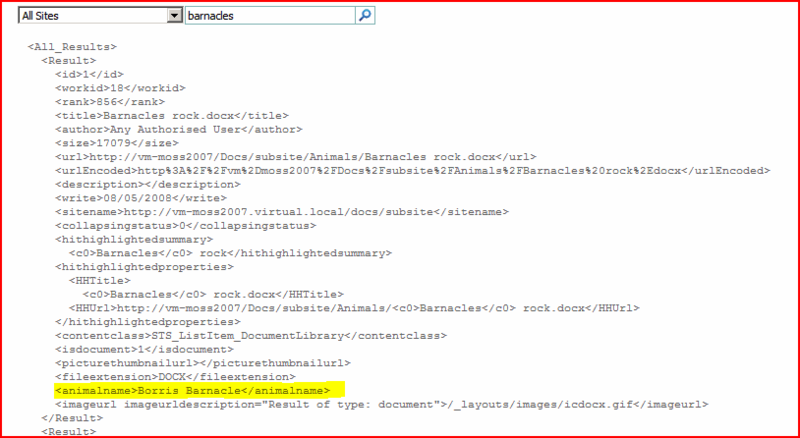 I ran a full crawl again, and now I could go and add my ‘AnimalName’ property as a column into the Search Core Results Web part (as I did with FileExtension previously), and now I can get it in my search results! Please note though – you will need to have the content with the new Site Column crawled twice – once to make it available as a crawled property, and then after you’ve created your Managed property you have to crawl again to actually populate that Managed Property. Edit: Damn, having just written this, I found a better description from Jonathon Frost. It’s well worth a read too. ← How do I get the File Extension in my Search Results? Clear and concise description – thank you! At first thanks for the information, but I have a specisl problem which was working in MOSS 2007. Get list custom columns in Crawled Properties. (2) I initialised a full crawl. 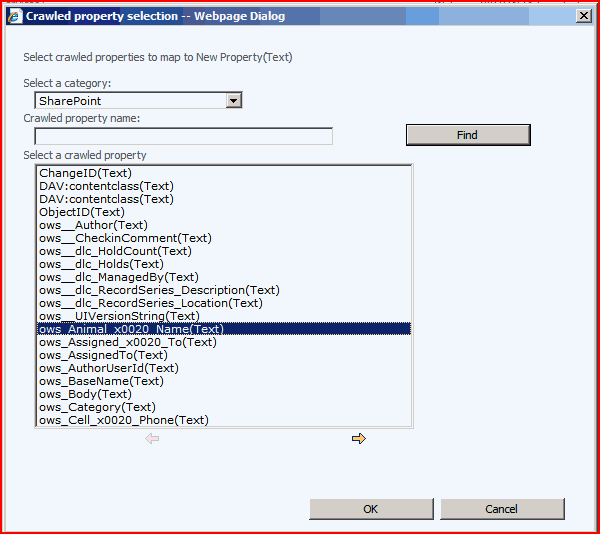 (3) I was looking under SEARCH ADMIN –>METADATA PROPERTIES –>CRAWLED PROPERTIES and for an entry under ows_myColumn but their is NO enty showing up …??? 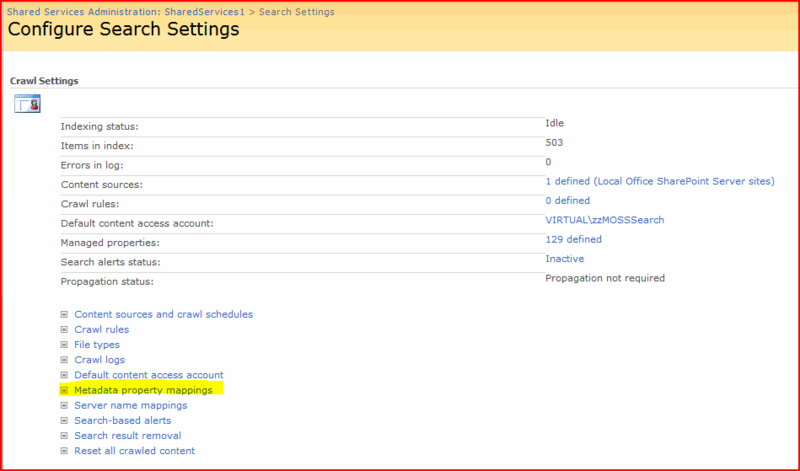 Is it not possible to search for custom columns in lists anymore in SharePoint 2010 ??? Sorry, I don’t know about that one – currently all my projects are still 2007, I’ve not had a look at 2010. I’d be surprised if there is no Search though. I have used your blog’s info on my blog and redirecting users to your blog site for more information. Hope it is fine for you. Interesting article! 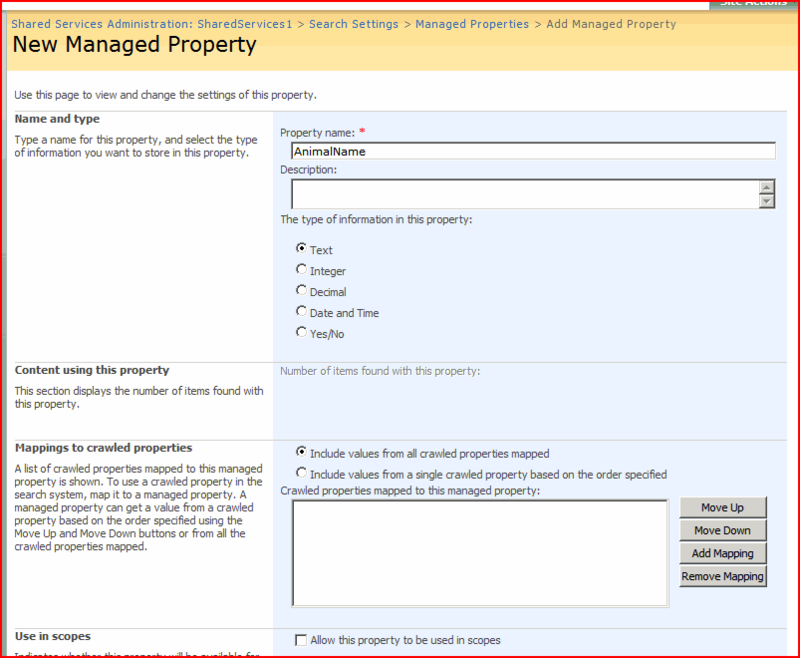 Compliments on the short though clear description of the function of managed properties. @Michael. I think the reason why you cannot map the new column that you created is because it does not have a content. No records is with content in the new field 🙂 You should add content to the field before triggering full crawl.